Come sign up for the 2018 MEF Foundation 5K race on April 21st in beautiful Star Harbor, Texas. 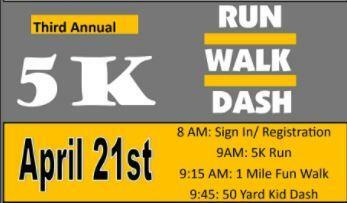 The race will begin at 9:00 am with a one mile Fun Run/Walk and 50 yard Kid’s Dash to follow. Participants may sign up for the race by clicking the link below.